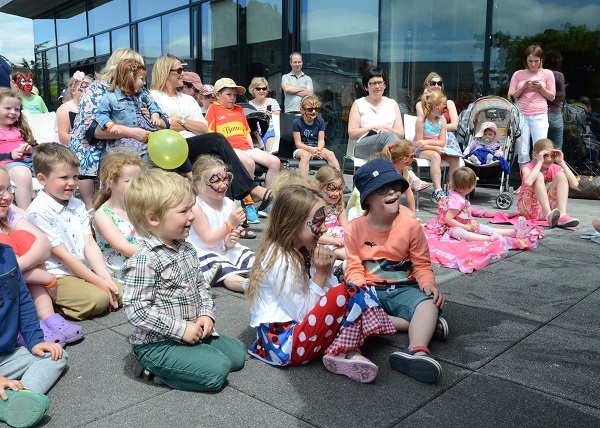 The Source Arts Centre and Library puts its best artistic foot forward for its annual Family Day onSaturday 25 June. Starting at 11 am the free entertainment and events includes workshops and chats for kids, opening with a workshop on the current ‘30 Years, Artists, Places’ exhibition in the Gallery space. You can join the Limerick Printmakers mobile printmaking team and experience the joy of pulling your very own silkscreen print. This great activity is suitable for ages four and up and the team will be encouraging everyone to get involved. Roscrea based guitar, mandolin and vocal duo Máire Long and Lisa O’Neill will provide music on the day. If you are looking for some magic in your life, stick around for Magician Colm Dawson who will present two shows full of fun, laughter and excitement. We’ll also have face painting, games and more on the boardwalk to keep everyone occupied. Delicious food will be available from Café Stef Hans.